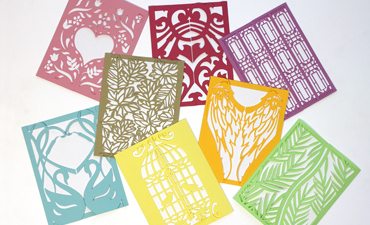 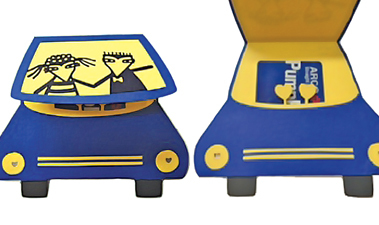 Diane Packer brings her wonderful characters to life in this terrific gift card holder for the newlyweds. 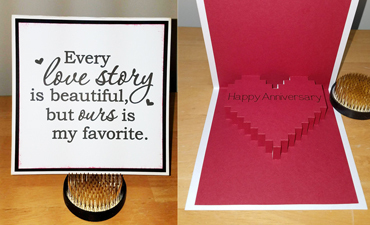 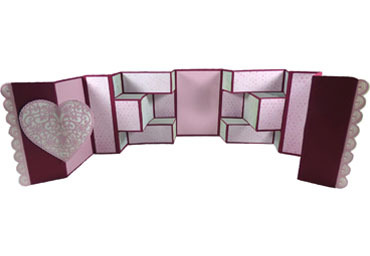 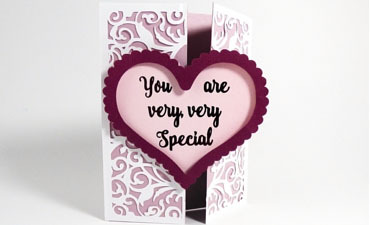 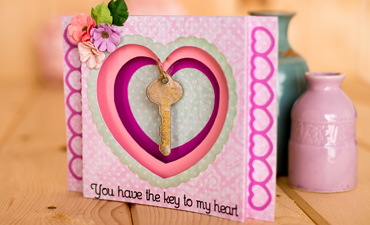 This fabulous heart pop up card can be used for an anniversary or use it as a reminder to that special person in your life that you love. 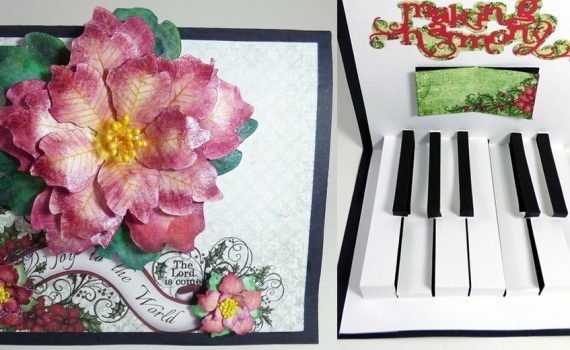 A beautiful dimensional flower adorns the outside of this card that opens in to a piano keyboard with a "chord" pressed down and the words "musical harmony". 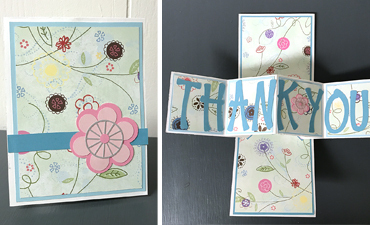 Great for musicians! 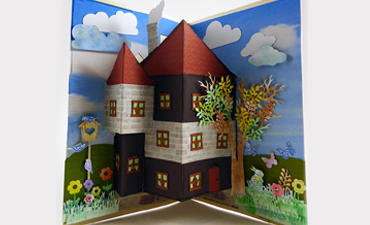 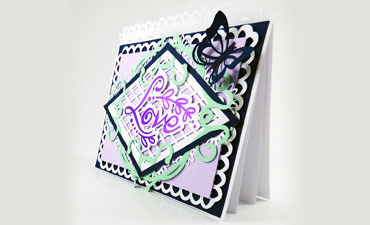 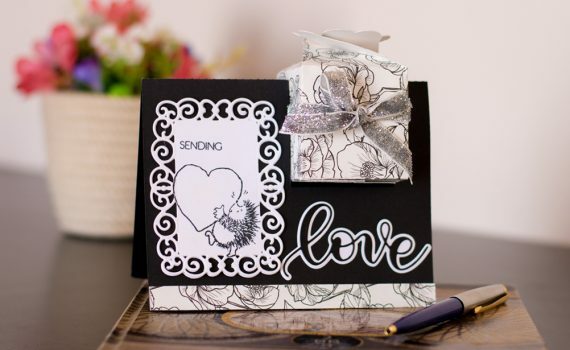 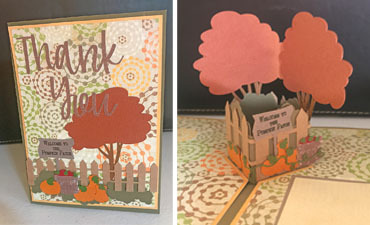 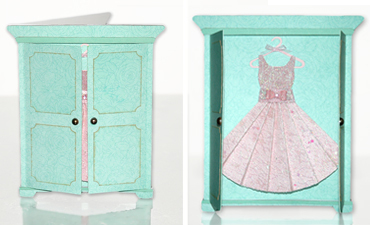 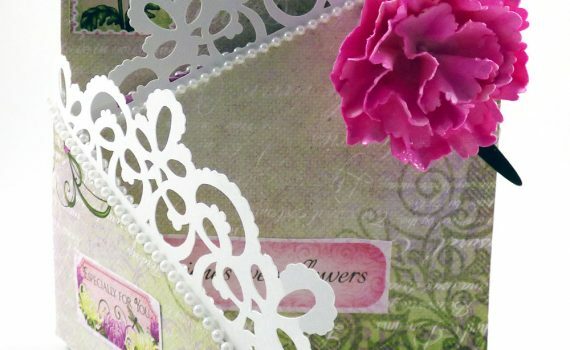 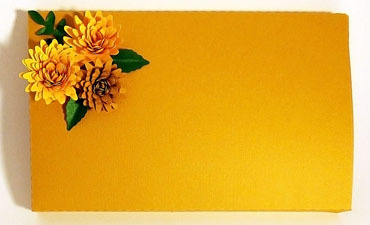 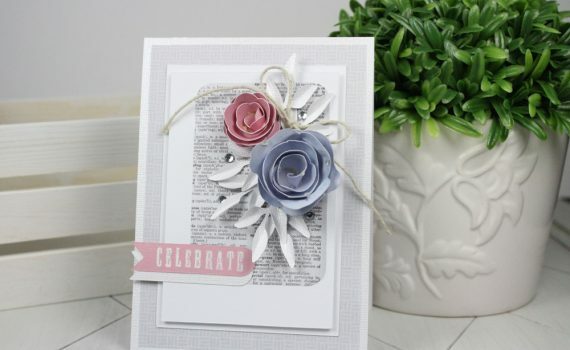 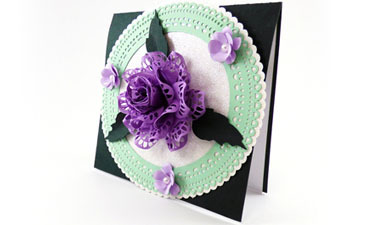 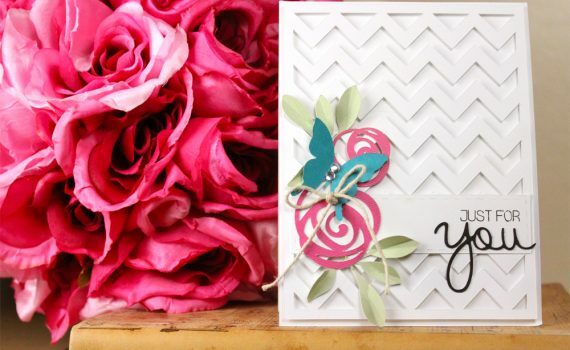 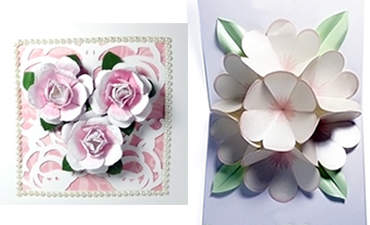 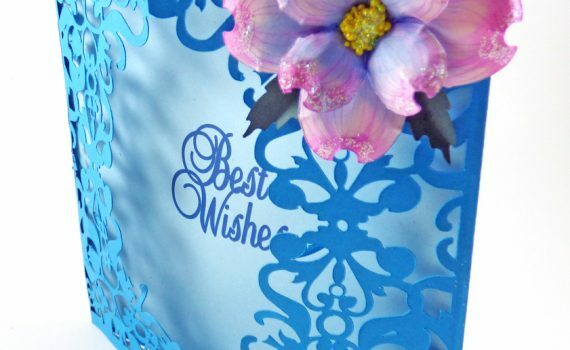 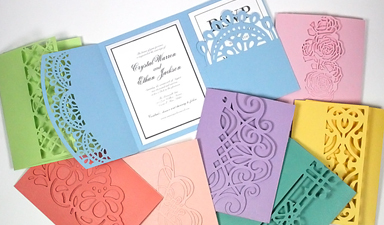 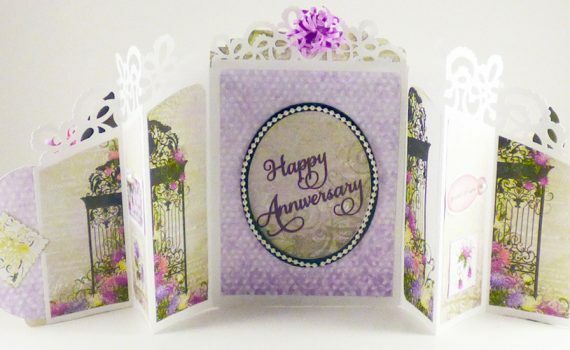 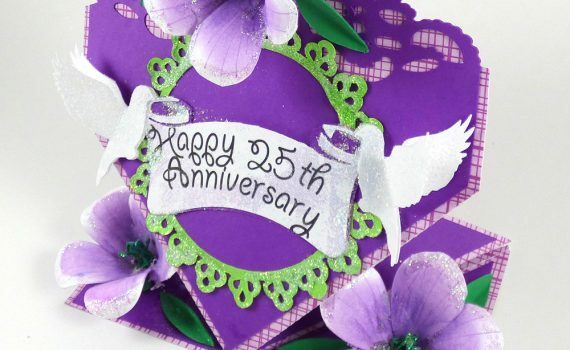 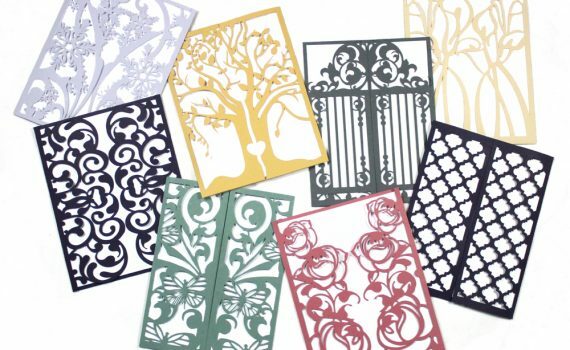 A lovely lacy gatefold card with the perfect opening for any sentiment and a beautiful dogwood dimensional flower.